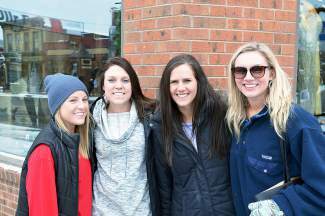 Several visitors from Nebraska and Minnesota walk down Main Street Breckenridge on Thursday, Jan. 7. 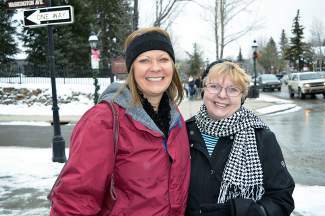 Becky, left, and Naomi Almany are visiting Breckenridge from Texas. 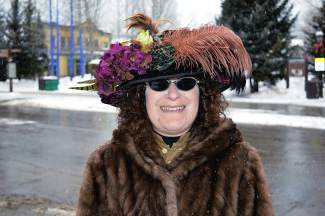 Phyl Rubinstein is a tour guide with Breckenridge Heritage Alliance. Jessica, left, and Brittany Grecoare visiting Summit County from Louisiana. 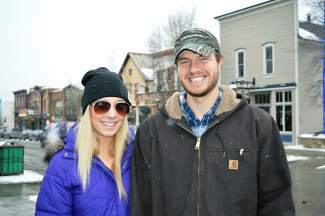 Liz and Nick were up for the day from Fort Collins. Ian McEvoy, left, and Rob Carpenter hang out in Breckenridge on Thursday, Jan. 7. 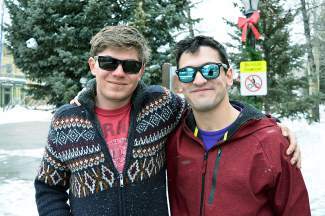 McEvoy is a ski instructor, and Carpenter is visiting him from Rhode Island.